Micky & Stevie's imaginative confetti owl design will delight your children, and indeed yourself! 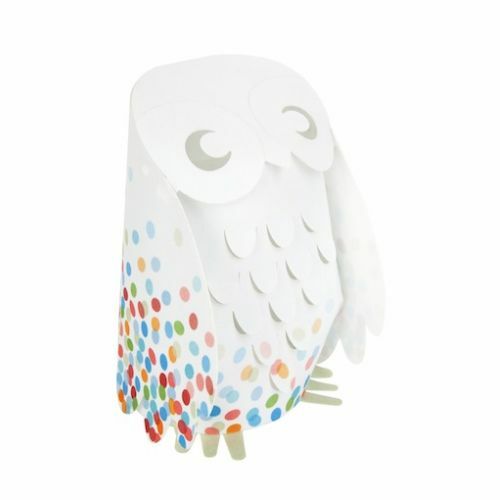 The intricately cut owl shape with pretty coloured confetti spots looks gorgeous, and when turned on, the owl lamp transforms your room into a play of light and shadow. Perfect as a gift for a child, or a design enthusiast! * Multi Confetti Owl Low Voltage Lamp ships as a large parcel and does not qualify for FREE SHIPPING offers.